I’m not a big science fiction fan, but I stopped for a moment the other day when Ray Bradbury passed away — as we all do when we lose parts of our youth. Honestly, I didn’t know he was still alive. I thought he was like the rest of them — Heinlein, Asimov and Arthur Clarke — dead and gone. These writers were the much-discussed trio of dire warnings from my high school and university days. There isn’t a nerd over fifty who doesn’t know that HAL, the renegade computer from 2001: A Space Odyssey, is only one letter off IBM or Asimov’s Three Laws of Robotics – in order. (They’re more than willing to remind you of both, at every opportunity.) Oddly enough, though, it was Bradbury who made the biggest impression on me — even though Heinlein’s Glory Road is my favourite science fiction tale ever. Like most non science fiction readers of my generation, I never actually read much Bradbury. He was around, but most people didn’t take him that seriously. Basically, the guy was considered all rayguns and rocket ships. 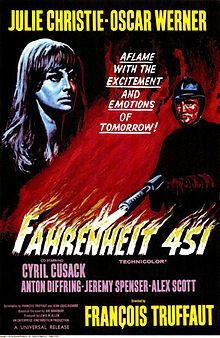 However, this all changed one evening in 1967 when, in a blast of utter irony, Francois Truffaut’s adaptation of Fahrenheit 451 hit the big screen. The movie was almost universally panned at the time, but the cult film world and academia jumped all over the Bradbury bandwagon. Forgotten 50s sci-fi rolled back into the independent movie houses, and people looked longingly over their shoulders at television’s Outer Limits and The Twilight Zone. Practically overnight, Bradbury joined the big three futurecasters as another oracle warning us about our perilous ways. In fact, some critics even spoke about the ABCs of science fiction (Asimov, BRADBURY and Clarke) leaving Heinlein out there to fend for himself. 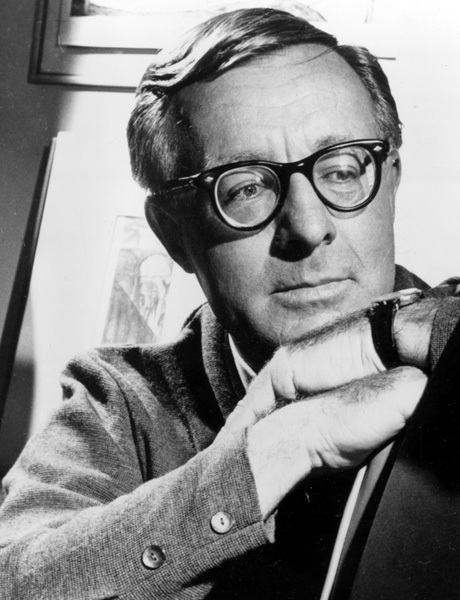 As an author, Bradbury’s reputation was made — even though most people outside the science fiction community hadn’t actually read any of his stories. Even today, many people are unaware that there are significant differences between the Fahrenheit 451 narrative they think they know; the movie they half remember and the novel they never read. Regardless, Fahrenheit 451 is an astounding bit of fiction that is now part of our cultural fabric. As with every other dystopian big hitter — Orwell’s 1984 or Huxley’s Brave New World, for example — everybody knows the basic tale, even though they may not have gone cover-to-cover with the author. I’m very much a creature of my generation, so Bradbury’s influence on me started with Truffaut’s movie. It was the first starkly serious film I ever saw; before that it was all James Bond and John Wayne. I’ve got nothing against those guys, even now, but I realized with Fahrenheit 451 that sometimes it’s not just about cinemagraphic popcorn and soda pop. Eventually, Bradbury’s influence with me and my generation waned. His books sat on the shelves or went to the yard sales, when Kurt Vonnegut took centre stage. 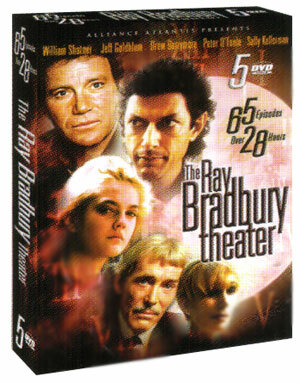 However, in the mid 1980s, Bradbury re-introduced himself to another generation with The Ray Bradbury Theatre. New people, who weren’t even born when Fahrenheit 451 was published in 1953, took note of Bradbury’s stories and his characters. Of course, no one (probably not even Bradbury himself) can escape the one incredible irony. Most of the people lauding his literary achievements — and praising Fahrenheit 451 as a pivotal work of fiction – are familiar with his written work only because it was adapted to the visual media of film and television. I still smile when I think of the Fahrenheit 451 firetrucks leaving the station. This entry was posted on June 8, 2012 by wdfyfe in Social Media and tagged Fahrenheit 451, literature, Movies, Ray Bradbury, Science fiction, social comment.